BlueSky Cinemas, one of the leading players in overseas market for Indian movies is now bringing adifferent from routine zoner movies, victory Venkatesh’s GURU into overseas market. 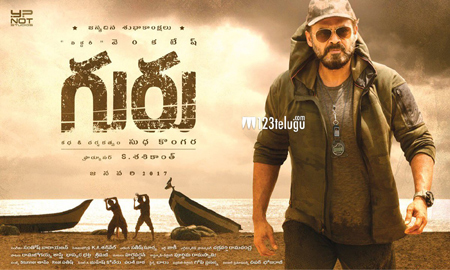 Guru is an inspirational sports drama which makes you sit edge of the seat and fully engaged. Victory Venkatesh and Ritika Singh will be playing in lead roles with knockout performance followed by Nassar, Tanikella Bharani and others. Music is being composed by Santosh Narayan who did several Tamil movies including recent Kabali. Sudha Kongara, who debuted as a screen writer for the Indian English filmMitr, My Friend which won the Best English film of the year award at the 49th National Film awards. She also worked as associate director for 7 years with Mani Ratnam. BlueSky Cinemas is excited to join hands with Chennai based Y Not Studios for this release. Our sincere thanks to Mr. S Shashikanth and Ram Chakravorthy showing interest to work with BlueSky. Movie is scheduled to release in first week of April, 2017.